Want to see some Sparks flying to get some slot action going? 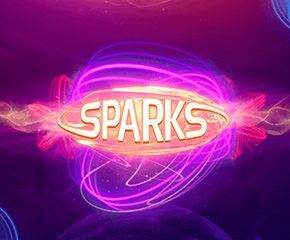 Now you can, as you enjoy the dazzling light show on the Sparks slot game. There is plenty to look forward to with this bright and cheery game. 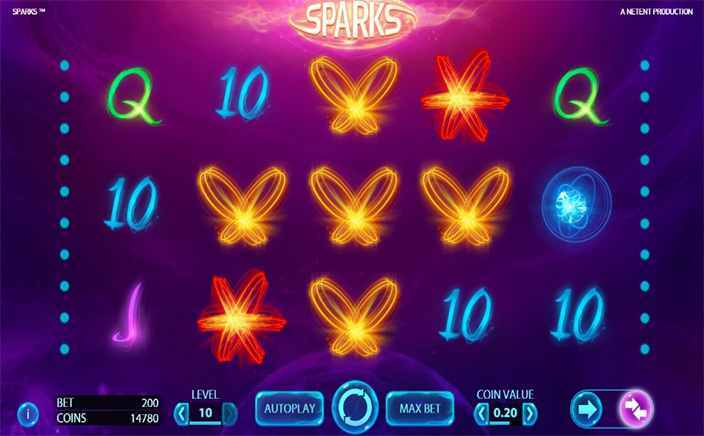 Sparks is a game by the Scandinavian game development firm, NetEnt, that is celebrated across the gambling industry for some of its great gaming inventions. This gaming company has taken the online casino industry by storm, making entertaining video slots that are packed with features and great game design. Sparks has 5 reels, 3 rows and 20 paylines. This video slot game is based on the theme of a light festival somewhere in the Orient. This game makes you feel all bright and cheery with the soft glow of the lamps on the reels, and is bound to put you in a better mood in no time. To start playing, just choose a wager amount and then start spinning the reels to see what symbols come up. Win Both Ways mode: The game can be playing in Win One Way or Win Both Ways mode. In the latter mode, you can have your winning paylines also read from right to left. That can only mean that you win even more money off of a winning payline. In case you are confused about which mode to choose, let’s just put it out there that the RTP is higher in the Win Both Ways mode of the game. Wild substitutions: The wild symbol in the game is the blue W sign. This can be used to swap out other symbols on the reels so that you can make a winning payline. Expanding cloning wilds: These are wilds that randomly appear on the reels which can be swapped out for all other symbols on the reels. They will then make a replica of adjacent reel symbols so that you have a better chance of making a winning payline. While Sparks lacks a free spins mode, the other bonus features like the expanding cloning wilds and the Win Both Ways mode are great features to look forward to so that you can make a lot of cash in the game. The game interface is also very pleasant because of the light theme, which is very soothing. It is a great game for a nice little relaxing treat for great chances for winning some cool cash prizes.